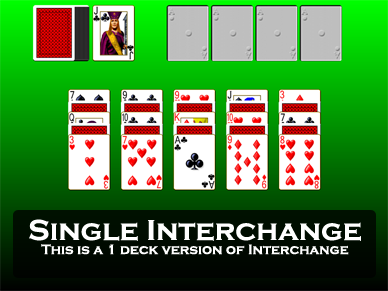 Screen shot of the game Interchange from Pretty Good Solitaire. 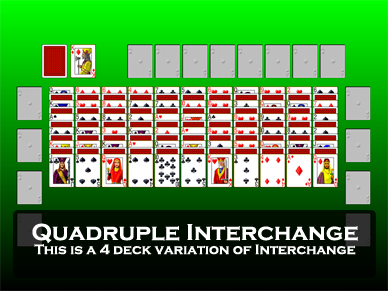 Interchange has seven tableau piles. At the beginning of the game seven cards are dealt to each pile, interchanging between face up and face down (hence the name). The piles are built down in suit. 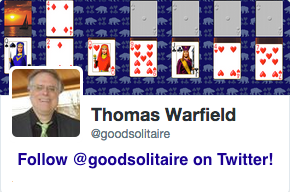 An empty space can be filled by any card (if you are lucky enough to actually be able to create an empty space). The foundations are built up in suit as usual. 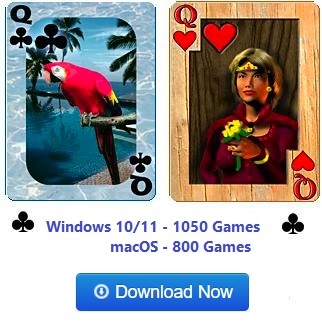 The rest of the cards form the stock and are dealt one by one to the waste. There are no redeals. 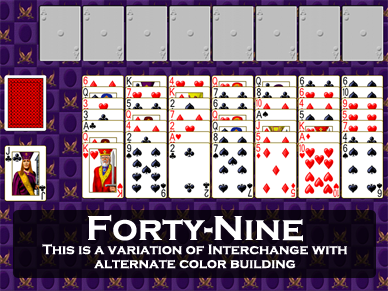 This makes the game difficult because there are very few places to put cards and the cards buried in the tableau often never come out. There is little strategy in Interchange because there are so few choices to make. 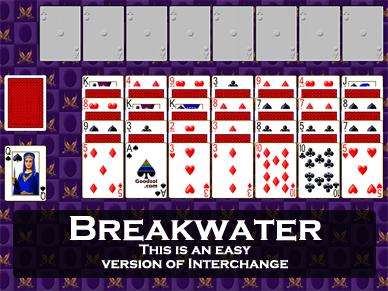 Nevertheless Interchange is one of the most popular difficult solitaire games. 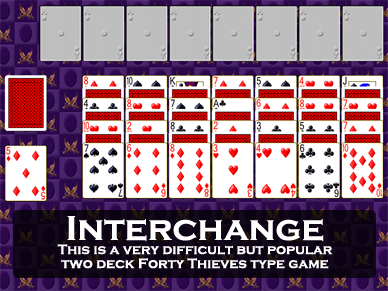 Because Interchange is so difficult, a number of easier variations exist. The most popular of these is called Unlimited. 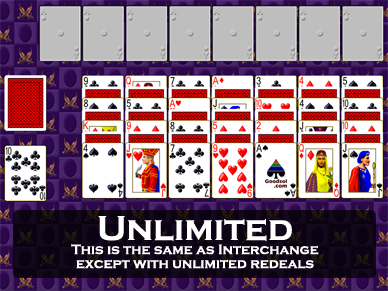 Unlimited is just like Interchange except that you get unlimited redeals instead of no redeals. This gives the player a fighting chance to win, although it still isn't easy. 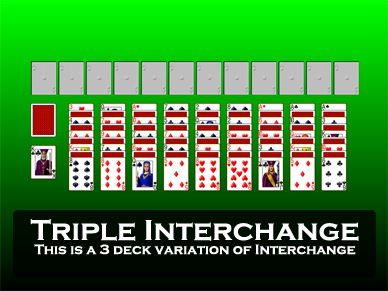 There are also one deck and three deck variations of Interchange.